Our “Kittens” Ginny and Joey are now over a year and a half old but still have moments of complete spazzy goofiness every day. 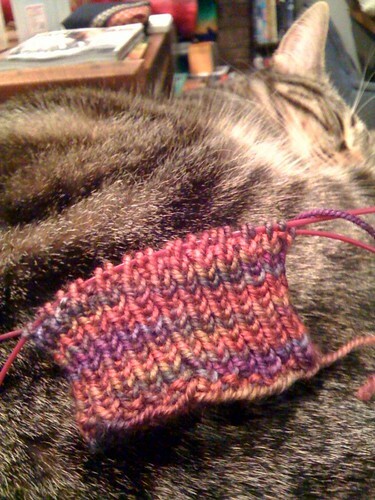 I have a “rule” of no playing with my knitting that Ginny has struggled with from the beginning. 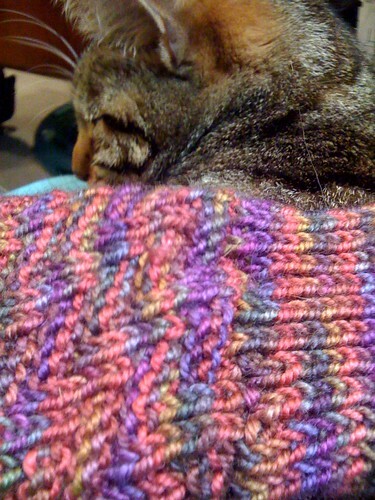 Ginny grabs at the yarn. I say ‘no’ and put her down. Ginny nudges my hand to pet her. There have been many many times where I just had to put away the knitting until she was crashed out dead asleep in another part of the house.